Sun. Beach. Romance. Relaxation. Pool. Family Fun. And most of all . . . ESCAPE! We invite you to ESCAPE the obligations and stresses of home and visit our little slice of paradise in Mexico. 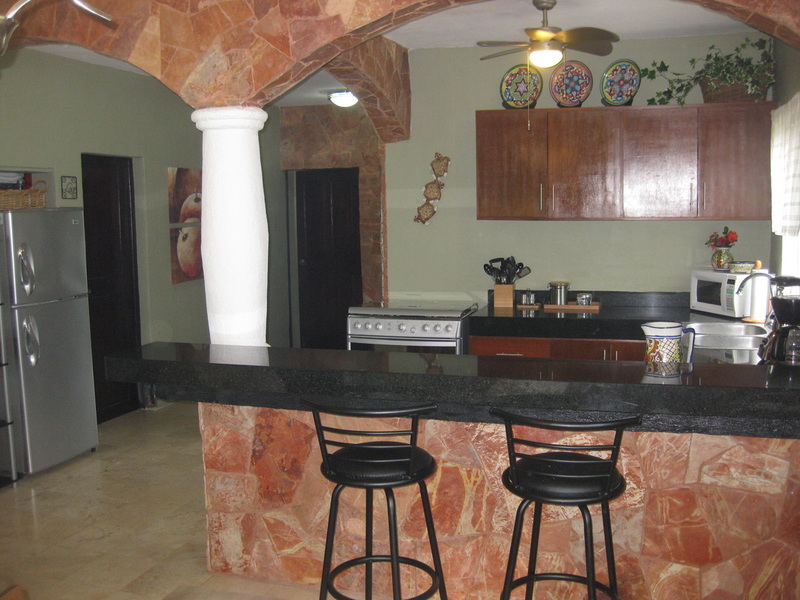 Casa de Sueno is the perfect vacation rental home for visiting Playa del Carmen, Mexico. The location is in the best of two worlds - situated in the peaceful, gated neighborhood of Playacar Phase 2 - yet close enough to all the action to easily walk to shops, restaurants and grocery stores! Our condo is spacious and easily accommodates two couples or a family comfortably. Its layout is different from most vacation rental condos which are normally designed long and narrow in order to squeeze as many balcony units as possible into a complex. There is plenty of room to move around our wide, open floor plan and you will never feel crowded or short on space. Our small complex is named Rosa Blanca and consists of just 12 units and is peaceful and quiet, with a pool larger than those found at many complexes 3X our size. Check out more Pictures of Casa de Sueno here. Just imagine - start your morning with a walk along an (almost) deserted beach, enjoying fresh squeezed orange juice from a local vendor. Lunch is fish tacos with your toes in the sand and the cool ocean breeze keeping you cool. 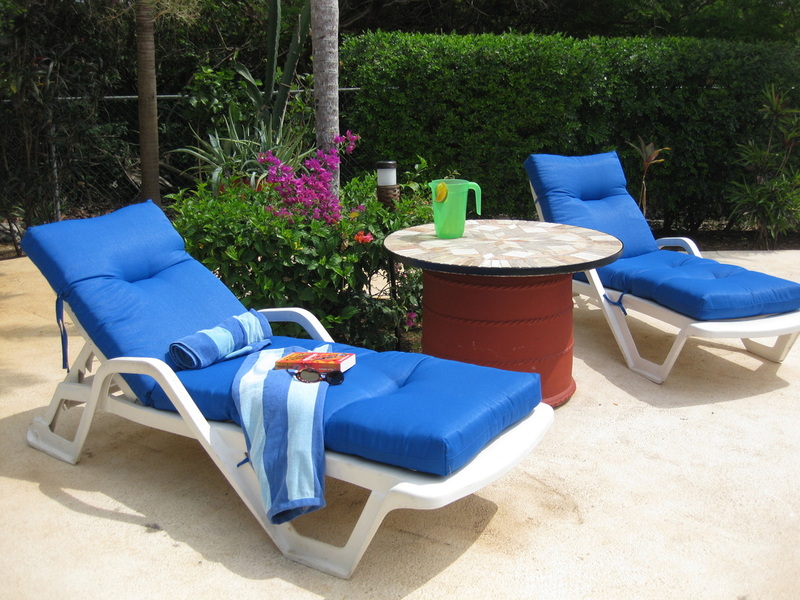 Then enjoy a lazy afternoon reading by the pool listening to the calling of the tropical birds. 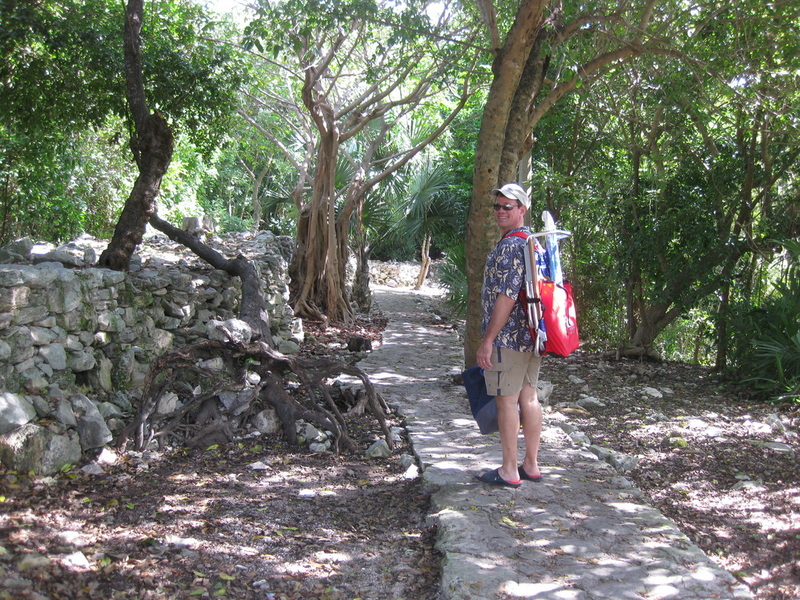 Or perhaps you would prefer an exciting day spent touring the ruins of an ancient Mayan civilization and swimming in a cenote that is hundreds of years old. Or maybe snorkeling with the sea turtles in Akumal. Finish the day with a feast consisting of a local specialty, grilled arrachera steak and the most heavenly frijoles a la charra. These are some of our favorite ways to spend the day. And most of your activities will be within Walking Distance from our condo, your home base for the perfect vacation in Playa del Carmen, and the perfect Escape. If you are new to Playa del Carmen, you will enjoy some of the General Pictures of Playa del Carmen here. Mark with chairs and umbrellas headed to the beach! Binder with more info and tips about the area including doctor references, etc. Coatimundi ("raccoons" that live in trees), agouti (half rabbit, half rat) and iguanas visit our garden and sometimes the tree near our balcony! You will also enjoy watching the gorgeous blue tropical birds who will visit you.